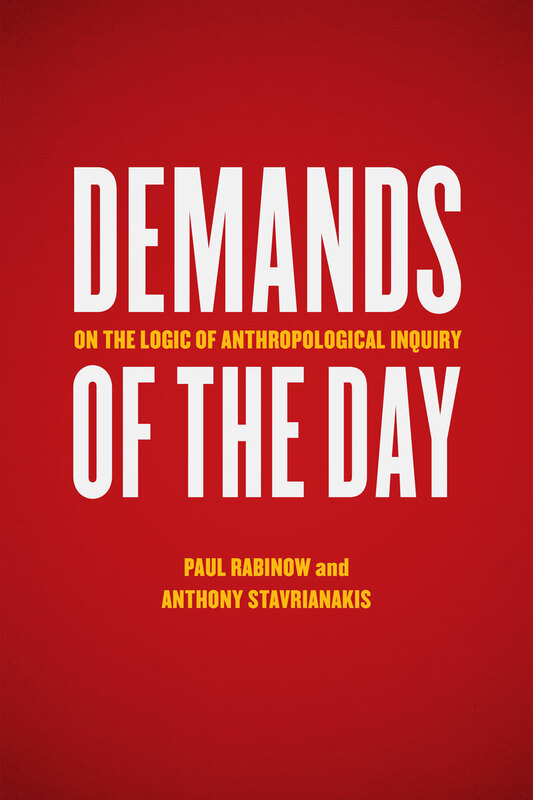 Demands of the Day asks about the logical standards and forms that should guide ethical and experimental anthropology in the twenty-first century. Anthropologists Paul Rabinow and Anthony Stavrianakis do so by taking up Max Weber’s notion of the “demands of the day.” Just as the demand of the day for anthropology decades ago consisted of thinking about fieldwork, today, they argue, the demand is to examine what happens after, how the experiences of fieldwork are gathered, curated, narrated, and ultimately made available for an anthropological practice that moves beyond mere ethnographic description. Rabinow and Stavrianakis draw on experiences from an innovative set of anthropological experiments that investigated how and whether the human and biological sciences could be brought into a mutually enriching relationship. Conceptualizing the anthropological and philosophic ramifications of these inquiries, they offer a bold challenge to contemporary anthropology to undertake a more rigorous examination of its own practices, blind spots, and capacities, in order to meet the demands of our day.